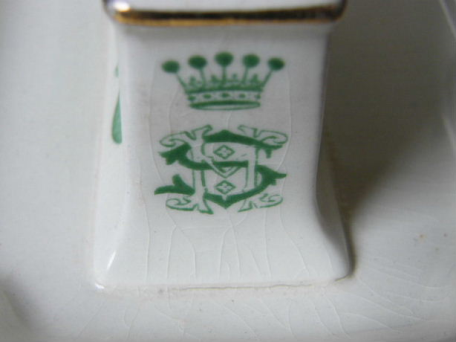 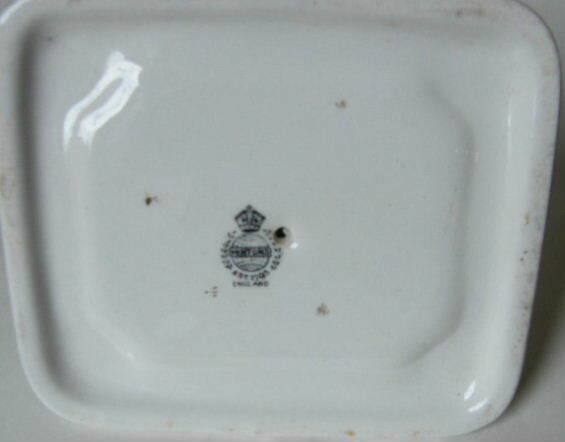 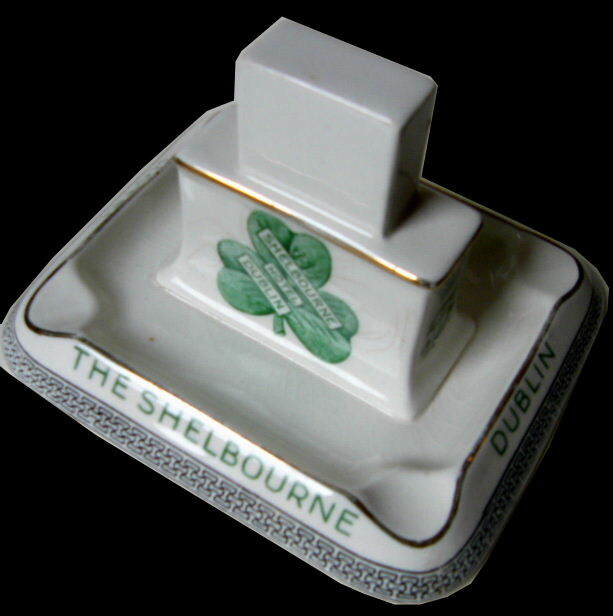 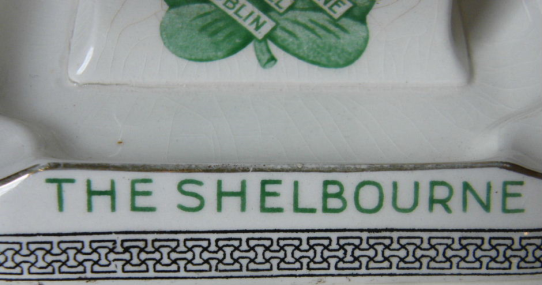 This Shelbourne Ashtray is a real rarity and I came across it at a Car Boot Sale in Le Mans (France) . 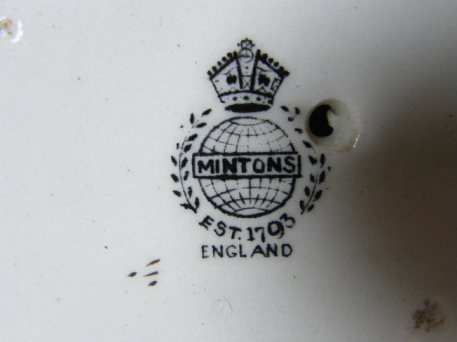 It was made by Mintons and is in overall super condition with a bit of glaze cracking but nothing serious. 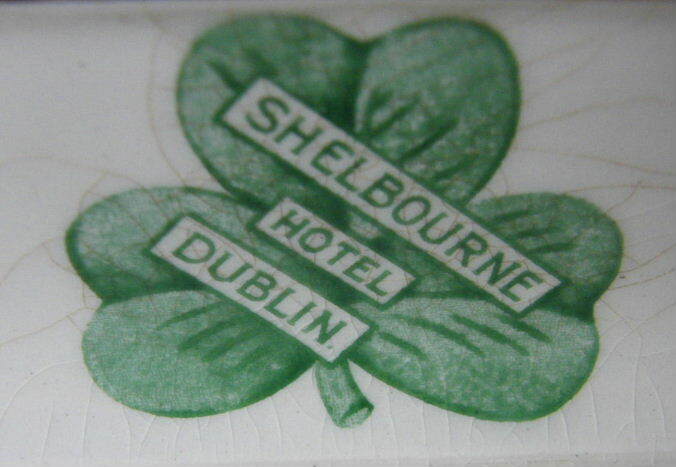 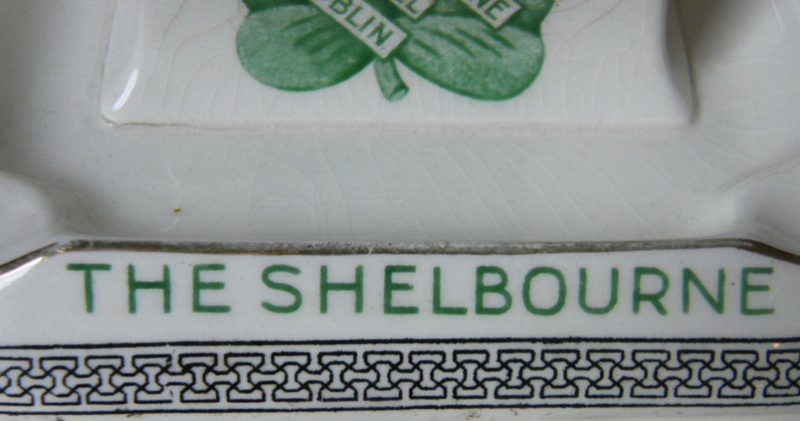 It has the Shelbourne Hotel Crest and The Shamrock and is topped to hold the Old Match Box.